The first time I learned about Wizardry was from a review on Game Pro magazine for the NES version. I was fascinated by the secrets and the winding corridors shown in the maps. I begged to have this game for Christmas and enjoyed it fully. My friend Gabriel, who was the only other person that I knew that played RPGs, hated it immediately however when he tried it and bumped into walls. He thought that the "ouch!" messages were silly. Even though I have completed it many times (I still have my cartridge) my interest has shifted from the gameplay itself to its peculiar art and music. When I tried the primitive original version from the Interplay collection I didn't get the same magic and immersion present in the Nintendo incarnations. The custom-made Baroque music fitted like a glove and it was exciting and charming. My favorites were the title theme, the battle theme that never became old and the very soothing camp music. For many years I had to make do with MIDI versions to listen, but on the Napster era I came across some few seconds, a partial download, from the title theme majestically orchestrated. 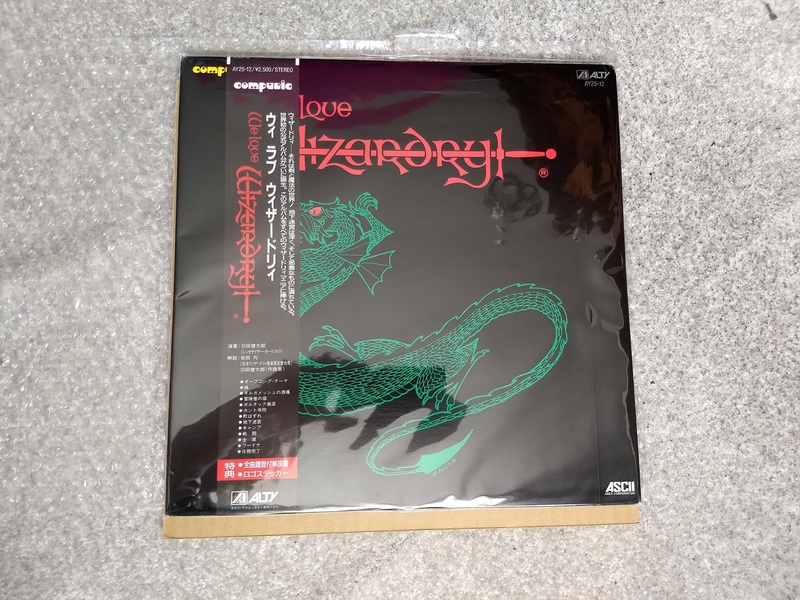 At the time I did not know where this came from, but now I know it is from the official version released by the composer for retail sale on LP, CD and cassette. Its title: We Love Wizardry. And of course we do. So much so, that it is a very hard soundtrack to find. Not only was a Japan-only release, making it hard to come across it for starters, but it is also an expensive one. CDs, from what I have seen, start at $100 (used) and could comfortably go for $200 (still used). LPs go even higher, but I have seen a recent tendency to ask more for the CD version. As one would expect a better sleeve + media condition notches even higher prices. My guess is that people do not want to let go off their copies. In the last couple of years I spent my time waiting for publications on eBay and Discogs or that someone might inadvertently ask for a lower price. I was willing to go for it regardless of the format. Or maybe, with the vinyl revival and the very recent interest in videogame music, a re-release. The master had to exist somewhere, didn't it? For all the We Love Wizardry proclamations, the affection paradoxically doesn't seem to be widespread enough to merit. 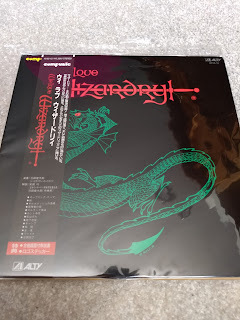 Even more popular titles, namely Dragon Quest, have not seen their existing soundtracks re-released, so what chance was there? When I felt I had waited long enough and that any change to the status quo was not forthcoming, I decided to bite the bullet. Now, I'm interested in the music itself and the physical experience of an LP if it came to that. I try to avoid being an actual collector because I really don't want anything and everything, it is too much of a distraction and an expensive one. A very few, well-chosen titles, as I have said before, suffice for me. We Love Wizardry happens to be one of those. I had been eyeing a long published vinyl offer on Discogs for $150. When one day it vanished, I vowed that I would take the next opportunity and it came back last January at just that price. By this time I had the resources, but it didn't make it any easier forking so much dough on just one LP. Went for it. This itch had to be scratched and it seems this will be the most expensive record I will ever buy. What I bought what described as NM in both media and sleeve. 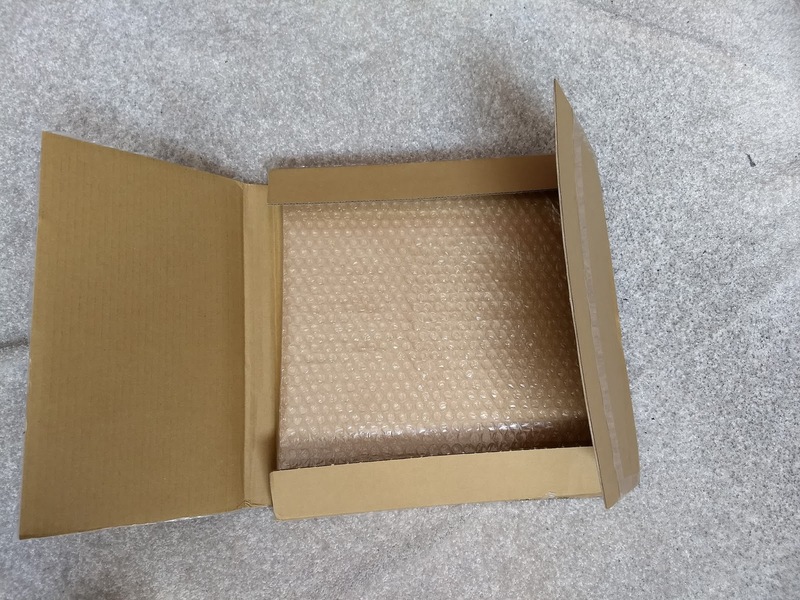 The seller was efficient in processing my order and I made sure to ask him to put, if possible, the record outside of the sleeve and in a double box for better protection. He said no problem. Then came the scary wait. 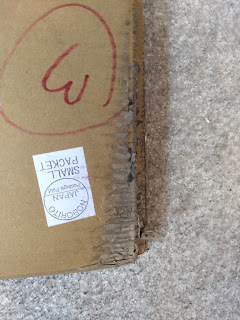 I opted for the most expensive, registered airmail, but it didn't seem to have an impact on shipping time. It came from Japan in around five weeks and by this time I was expecting the package to be partly torn, crushed and generally mangled for all that transit and handling. I should have asked for FedEx. 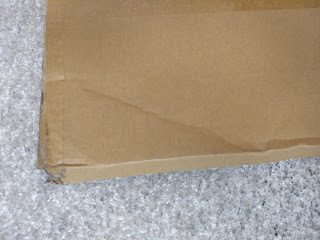 However, when I finally got the package I was surprised that the contents had not been damaged in the least. 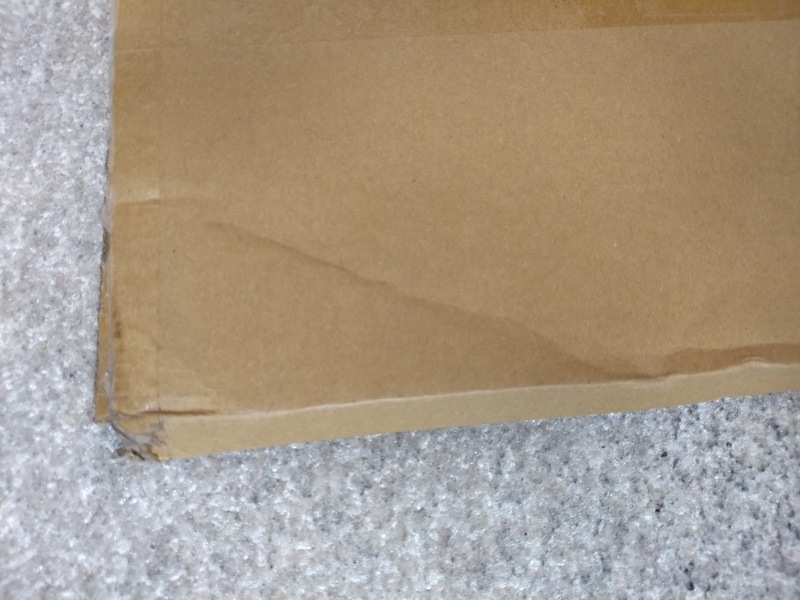 The cardboard had some few bumps and scuffs and looked as if it had been run over by a motorcycle tire on one side, but held. No double box, but the record was indeed packaged separately and held firmly. 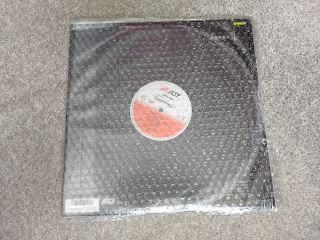 Both record and sleeve combo were in a sealed plastic (Mylar?) outer sleeve. The record sleeve itself was a sight to behold. Despite its 30 years of existence, it looked as if it had been printed last week all smooth and shiny. Who knows how many people owned and lovingly cared for it all these years. My copy also came with its original obi sash and insert. The insert was described as having a few stains and I believe that this helped me pricewise. I knew from a Japan trip episode from Nate Goyer's "The Vinyl Guide" podcast that record dealers over there generally are very conservative with their gradings and that any minute imperfection impacts the price. Once more, I believe that with my copy this was the case. The scores for all the tracks are included. I cannot read music but it's nice to have it for archival purposes (yeah). There appears to be an official sticker (hype? separate?) but I knew that this one wasn't included. In a way I'm glad it didn't because its inclusion would have meant an even greater expenditure and I wasn't about to stick it somewhere. It would have been nice, for completion's sake, but that's still an extra. Would I buy it if I saw it sold separately? How much would I be willing to pay for it? I don't know, maybe $20 or up to $40. I'm very happy with what I already got. Music, record condition and, if possible, sleeve condition was what I going for. Originally I intended to listen to it right away but since Lent was coming I thought to defer the first listening for after Easter. I thought that it would be a good thing, in addition to others, to offer God for the season. As you can see, I was melting for it, but God takes the top spot. It was a shame to finally unpack such beauty. Would I be able to take as good care for my record as others had done? My. 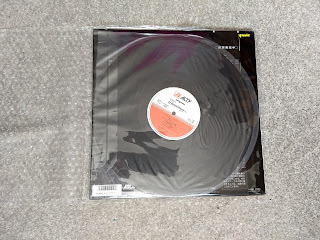 At the very least I could make a digital copy for the ages, pack everything in a Groove Vinyl oversized protective sleeve and keep it out of the sun. For a brief moment I considered not playing it at all and having it for display-only, but discarded the idea as extravagant as I didn't have the wall space anyway. Using gloves to handle my $150 was not that far-fetched however. The music for this title lives in a weird limbo between chiptune and real-life performance as it is generated by high-end synthesizers. I wish we would have gotten some real instruments playing (a very unlikely occurrence for any soundtrack of the era other than Dragon Quest), but I am very thankful that they didn't just record the raw chiptune output. Had that last been the case, I would have certainly not bothered at all with the soundtrack. Another big plus is that the composer takes the opportunity to explore more in each track than just giving us the same old pieces we have already heard a million times. These two factors, along with the catchy underlying melodies, are what makes this one a standout musically speaking. There is now more power, there is more ebb and flow. The sound quality is clear but a bit clicky which is something to be expected for its age, but not distracting. No loud pops. All the tracks are extended with a bit of new material added beyond the point where you expect each to loop. About 30 extra seconds for each track. The title theme is grander, more solemn and darker than the original and now reminds me of Handel's sarabande. The castle theme is merry and makes a picture a cobbled medieval town on market day. The adventurer's inn feels just what a place of relaxation and restoration should sound like. Boltac's is the closest to the NES version. In Gilgamesh's tavern there is a surprising entrance of a clavichord followed right away by a passage that reminds me of West Side Story. The Temple theme sounds like a church hymn and is very effective in giving the sense of sacredness. The organ for this one however feels saturated. Maybe because it's the last track from side A. The town outskirts music doesn't resist quoting a well-known circus theme. If there is a theme that I like best in its original NES version, it is the Dungeon. As with many of the rest, it is now darker and foreboding. However, for this one, this makes it lose focus on the already effective minimalist melody. There is a shift from mystery to the feeling of walking on the edge of a chasm. The Camp theme still remains sweetness. The very small jingle that signals an encounter isn't included. The battle theme for its part is transformed from the intimate dungeon fight to what feels a very expansive and cinematic pitched battle where vast numbers of opponents are dealing and receiving death all around the listener. It is my belief that this one is one of the few baroque battle themes in gaming and whatever its rivals, it is a fine example. The LP finishes with that victory theme which, of all the music from Wizardry, is the one one gets to listen the least. In addition it is, if I may, not that great. As a result, it doesn't quite on par with the rest of the music in terms of familiarity and enjoyment which makes the soundtrack as a whole end a bit on the downside. The Wizardry series doesn't stop with the first title We Love Wizardry/Proving Grounds of the Mad Overlord. There were other releases and soundtracks to match by the same composer. Is it the future for me to get those as well? By the looks of it, all these other soundtrack releases were published as CD only and while still rare and expensive, appear as more affordable and a bit easier to find than We Love Wizardry. 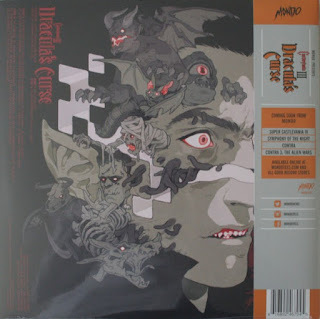 There was a box-set release a long while ago and I seriously thought about getting everything in one fell swoop through a reseller at Amazon, but it turned out existing offers were (and still are) outrageously expensive as this one has the aggravating characteristic of being a limited release. Individual titles might work for me: Legacy is the highest rated; owned and loved Heart of the Maelstrom for the SNES; I may eventually buy a used Nintendo copy of Knight of Diamonds which I never had. So, individual CD purchases may be in the horizon. For yourself, under which conditions would I recommend you get We Love Wizardry? As I see it, get it if you fit under any of the following: a) you are a hard-core collector and have the purchasing power; b) you love Wizardry/its music and can cut other outlays to make up for the expenditure; c) have some special interest such as reviewing it for a podcast or you tell me. For the rest, I would suggest that you first go out and buy the titles that really interest you and still hold on for the possibility of a re-release, however tenuous. I'm inclined to believe that it will never happen, but who knows? Copies from the 80s can still be bought, some way or other, the problem is their price. In the end, if you ever get hold of of one, I believe you will not regret it for its musical qualities.